One of the most powerful ways to generate ongoing support and a financial lifeline is a successful annual event. 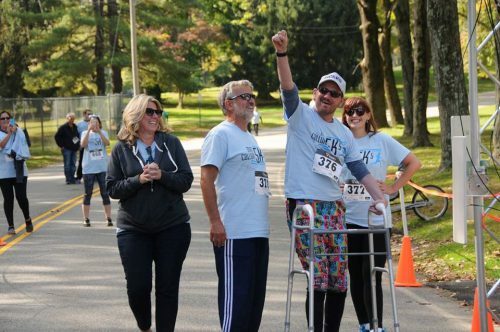 Matt Collura recently witnessed the 8th Annual 5K Run/Walk fundraiser in his honor come to life. The “MC5K” raised more than $10,000 in honor of Matt this year. Matt experienced a traumatic brain injury in March 2011 during a snowboarding accident. His progress since is jaw-dropping, supported by the annual generosity of MC5K sponsors and participants. 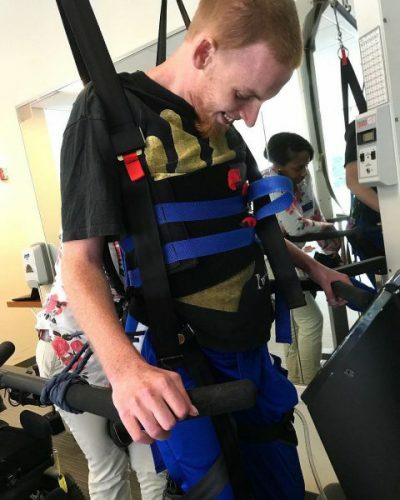 His accomplishments have included taking an unassisted step, transferring from wheelchair to car, couch, or bed with no assistance, speaking clearly on the phone, reading an original poem aloud, and moving from his parents’ house into a group home. 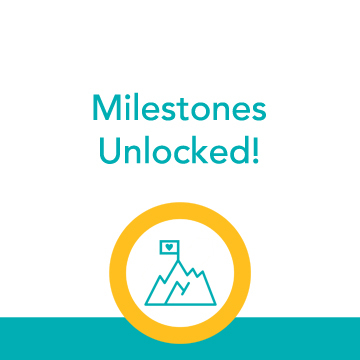 This fall, Denny experienced an astonishing milestone: he literally took his first steps toward walking independently again. This incredible video shows Denny in action! Jane Koza has been living in a nursing home since transverse myelitis left her with paralysis at age 47. 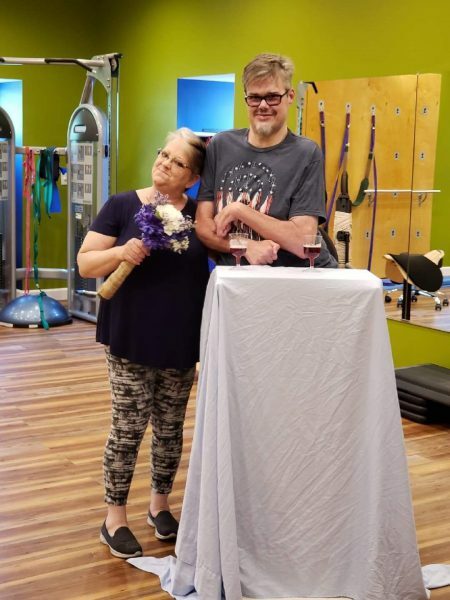 Her post-diagnosis journey has been grueling both emotionally and physically as she has fought to regain her independence by fundraising for new housing and caregiving expenses. 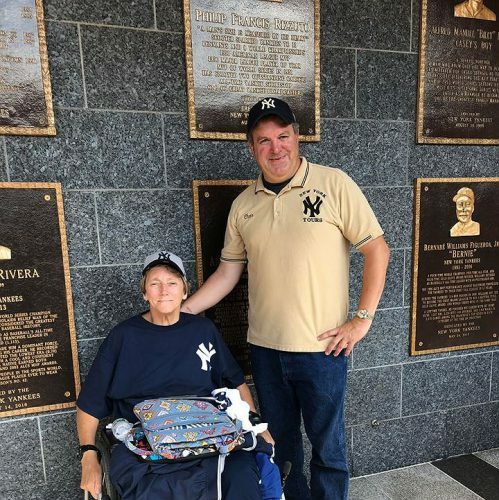 She was granted the special request she submitted to the Twilight Wish Foundation: to see her beloved Yankees play at Yankee Stadium. Jane celebrated her 60th birthday in style with suite seats, VIP meetings, and a special tour of the facilities. See her recap and photos on her Campaign Page. Typically when our supporters start Facebook Fundraisers to benefit Help Hope Live, they do so in honor of a particular client. 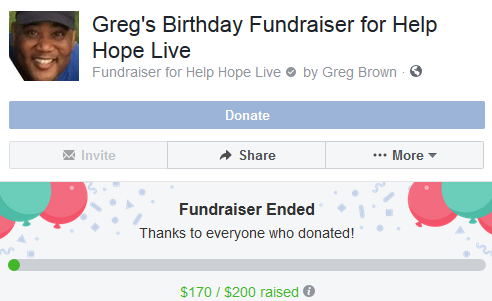 When our client Greg Brown started a Facebook Fundraiser, we reached out to confirm donations should arrive here in his honor…and we were moved to receive his response. There’s nothing better than seeing our clients not only find their way forward after a medical crisis but also receive community support so abundant that they are able to dedicate future fundraising efforts to support our organization’s overall mission.